"Naturally, the smooth termination of the gold-exchange standard, the restoration of the gold standard, and supplemental and interim measures that might be called for, in particular with a view to organizing international credit on this new basis, will have to be deliberately agreed upon between countries, in particular those on which there devolves special responsibility by virtue of their economic and financial capabilities." We have been here before – twice. 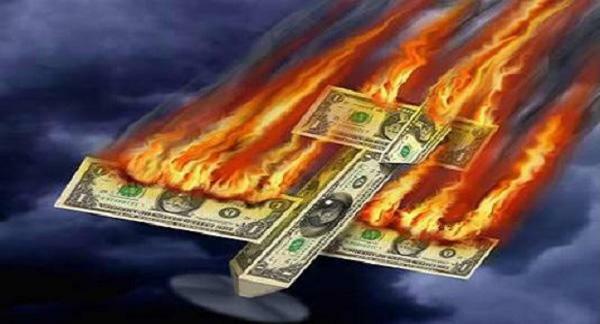 The first time was in the late 1920s, which led to the dollar’s devaluation in 1934. And the second was 1966-68, which led to the collapse of the Bretton Woods System. 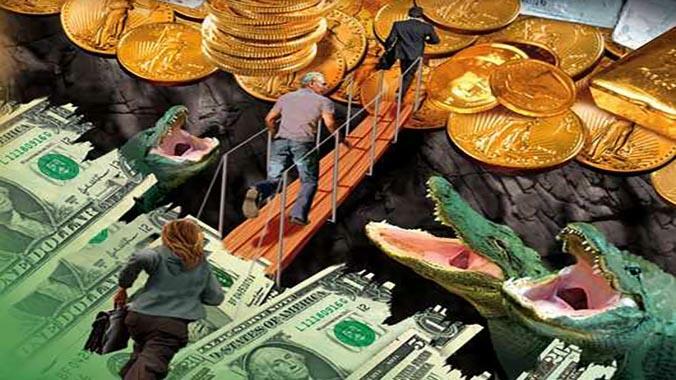 Even though gold is now officially excluded from the monetary system, it does not save the dollar from a third collapse and will still be its yardstick. As stated above, gold exchange standards evolved after the First World War, in the early 1920s. [ii] It was the taking in of foreign currencies, also on gold exchange standards themselves, and booking them as if they were the equivalent of gold, that allowed central banks to expand the quantity of monetary units domestically. To understand how this operated in practice requires us to work through an example between two countries on gold exchange standards. We will take the entirely hypothetical example of two countries, America and Italy, both of which have monetary gold in their reserves and operate on a gold exchange standard. Throughout the ‘fifties, America recorded a surplus on goods and services, which declined as European manufacturing recovered. 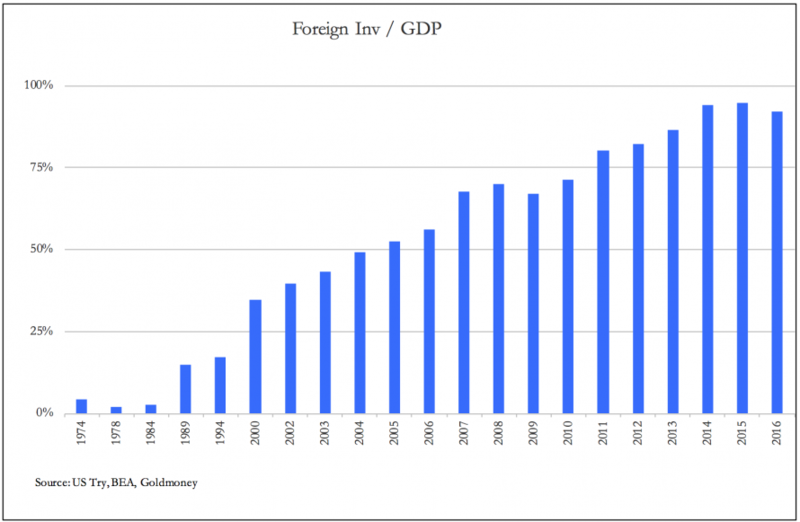 But other factors, such as investment abroad and the Korean war resulted in an overall balance of payments deficit totalling $21.41bn, the equivalent of 19,024 tonnes of gold at $35 per ounce. However, US gold reserves declined only 4,457 tonnes between 1950 and 1960, which tells us that the balance was indeed invested in US bank deposits and US Government notes and bonds. The respective figures for the 1960s were total payment deficits of $32bn, the equivalent of 28,437 tonnes of gold, and an actual decline in gold reserves of 5,283 tonnes. More recently, from September 2008 the Fed began expanding its balance sheet by policies designed to increase commercial bank reserves, as a response to the financial crisis. That August, they were $10.5bn, increased to $67.5bn the following month, and peaked at $2,786.9bn in August 2014, since when there has been a modest decline. From our analysis of the run-ups to the two previous dollar crises, we know we should try to estimate how much of the increase was effectively funded from abroad. Treasury TIC Data gives us a fairly good steer to what extent this has happened. We find that between those dates, (August 2008 – August 4014) foreign ownership of dollars increased by $6,237.7bn, over twice as much as the increase in the Fed’s record of commercial bank reserves.